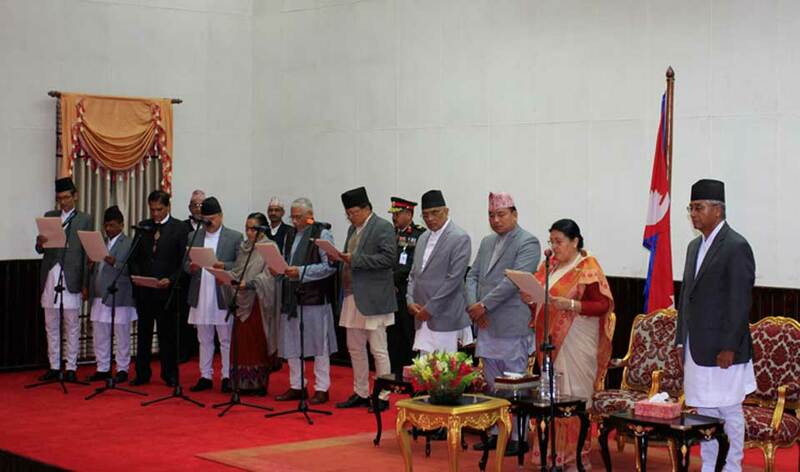 KATHMANDU, Jan 19: President Bidya Devi Bhandari has administered oath of office and secrecy to seven newly-appointed province governors on Friday. President Bhandari administered the oath of office to the provincial chiefs amidst a special ceremony organized at the President's Office, Sheetal Niwas. Vice President Nanda Bahadur Pun, Prime Minister Sher Bahadur Deuba, Chief Justice Gopal Prasad Parajuli, chief secretary Lok Darshan Regmi and other distinguised personalities, including chiefs of security forces were present in the swearing-in ceremony, press coordinator Bhesh Raj Adhikari said. The province chiefs sworn-in today are Prof Dr Govinda Bahadur Tumbahang as the Chief of Province No 1, Ratneshwar Lal Kayastha as the Chief of Province No 2, Ms Anuradha Koirala as the Chief of Province No 3, Baburam Kunwar as the Chief of Province No 4, Umakanta Jha as the Chief of Province No 5, Durga Keshar Khanal as the Chief of Province No 6 and Mohan Raj Malla as the Chief of Province No 7. 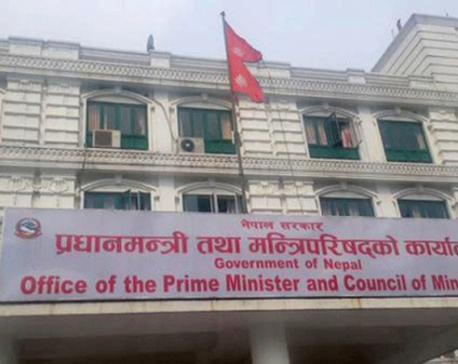 A meeting of the Council of Ministers on Wednesday had fixed the temporary provincial capitals to carry out the administrative works as well as decided to recommend to the President the names of the Province Chiefs.